Welcome to Infrascan Thermal Imaging! Our core business is the routine scanning of electrical switchboards for preventative maintenance and commissioning purposes. 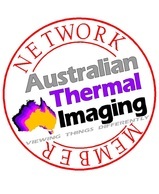 When thermal imaging your electrical equipment, we use a special thermo-sensitive camera that picks up any "hot spots" which require your attention. We create a report detailing each fault, its location and severity. The reports are sent to your maintenance or engineers division along with a recommended time frame to fix the fault. We recommend that assessments are conducted annually, however some clients require a half yearly or quarterly report. We comply with all of our client OH&S procedures, all of our insurances are current, and we routinely supply Certificates of Currency. Based in Sydney, we scan both locally and interstate including Melbourne.